You enjoy squash and believe in fair play. You love being in the midst of the action and seeing others enjoy the game. You have a sound understanding of the game and are a good communicator. But have you ever thought of using these skills as a referee? Being a referee is a rewarding role, you ensure players adhere to the rules of the game, show fair play, manage the scoring and help spectators understand what’s happening. All referees at any level need some basic skills. You'll need good observation, leadership, confidence and communication skills to be able to manage a squash game. It also helps if you have an understanding of squash as a player. If this sounds like you, then join our growing team of referees! We’re committed to qualifying and developing referees, and in the last two years have qualified more than 150 club grade referees. 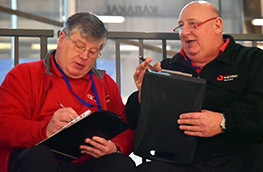 You will need to attend a workshop and pass an exam, then you’ll get the chance to officiate games near you. For those that have ambitions to officiate at the highest level, there's a structure in place to give you support and opportunities to progress from a newly-qualified ‘club referee’ to ‘national referee’ grade. Initially, you will receive support, training, assessment and mentoring from local referees to help you qualify as a county referee. 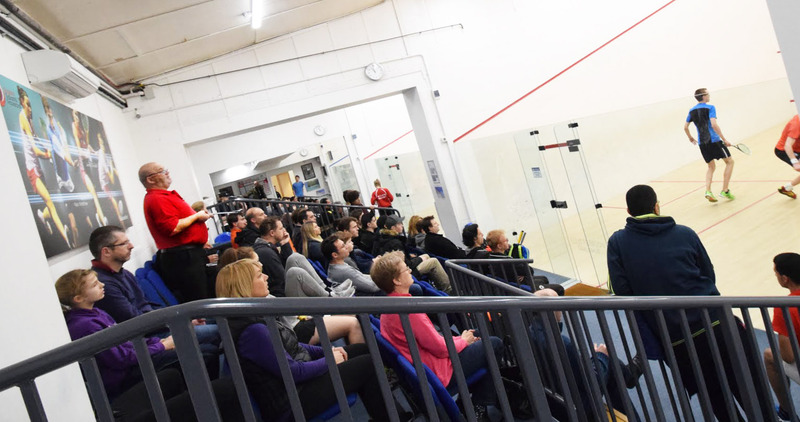 You'll then have the chance to attend England Squash events to work and progress with more experienced referees. If you're really keen on refereeing you can become a Mission 2022 candidate. Do you enjoy playing and watching squash? Helping people understand the sport? Have you got a passion for self development? Do you want to work with the best squash referees in the world? If you said yes to any of the above, enjoy watching squash and are passionate about helping the sport develop at the top level you can be part of Mission 2022. Mission 2022 is a home nations collaboration between England, Wales, Ireland and Scotland which aims to develop and support new and existing referees. Find out more about Mission 2022. Referees play an important role in squash at every level, so why not find out more today? Read more about becoming a referee and find a course near you.